﻿ So Hot Mulligan have recently been in the middle of a minor stir surrounding their song All You Wanted By Michelle Branch, catching the attention of the titular singer-songwriter online and confusing her for not being a cover of her 2001 track. That would be enough serendipitous publicity for most upcoming bands to be riding high, particularly on the eve of their debut album’s release, but Hot Mulligan have put enough work in for this to be merely a boost rather than a boon. Their EP Opportunities was especially successful at roping in fans pining for a return of classic pop-punk and emo, and with plenty of local shows and support slots under their belt, a good full-length could be enough to solidify them among the scene’s newest crop of success stories. And thankfully there’s nothing to worry about in that department as Pilot delivers and then some, the sort of full-blooded throwback that refuses to sound dated and, as such, is always welcome. And it’s not as though Hot Mulligan aren’t drawing from a pool of quality; Pilot is like Tell All Your Friends-era Taking Back Sunday crossbred with The Wonder Years and raised on a steady diet of early Fall Out Boy with some American Football as an occasion treat. It’s unashamedly familiar and accessible (particularly with content that rarely strays out the old-school emo and pop-punk pen), but it’s the intricacies that keep Pilot interesting. The modern pop-punk vibes of How Do You Know It’s Not Armadillo Shells? might be basic with a simple guitar crunch and programmed beat, but it’s easily the most straightforward song here, and with the back-and-forth chorus of The Soundtrack To Missing A Slam Dunk or the straight-up math-rock of There Was A Semi Fight On I-69, Hot Mulligan clearly have a wider breadth of interests that they continue to make as effective as possible. It’s especially true when considering the construction of these songs as a whole, which sees the band manage to pack each strain so tightly for the most concise listen possible. Just take I Hate The Gooey Disk which overlays a staccato stab of guitar on a spidery melody line without sounding cluttered or unwieldy. There’s meat in this album, but that comes from a naturally raw, rough-hewn sound rather than from bloat; there are noticeable blemishes and imperfections in both the vocals and the guitar lines, and as such it gives tracks like Pluto Was Never Really A Planet Either Even and *whispers* Thank You so much more pathos and vigour that’s definitely appreciated. It’s not groundbreaking in the slightest, but Pilot is a top-class comfort food listen all the same, the sort of familiar, instantly recognisable fare that’s easy to like and take in with little effort. The fact that this is clearly a more thoughtful, layered effort, though, really does speak volumes, especially when none of the accessibility is sacrificed for complexity or vice versa. It’s just a great little album that sees Hot Mulligan making some serious headway within this brand of pop-punk, and it doesn’t look as though they’ll be slowing down any time soon. 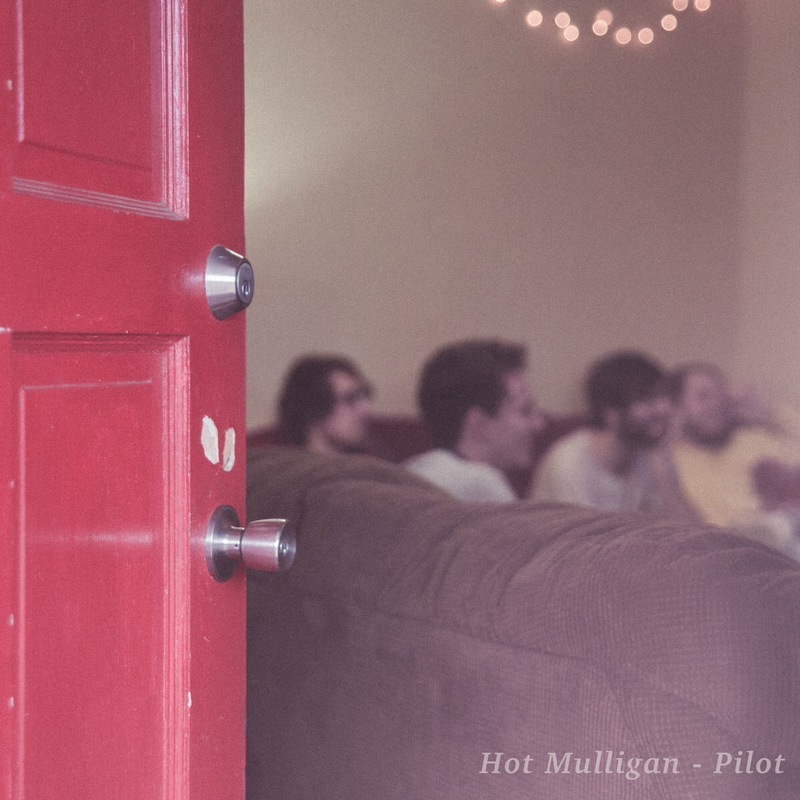 ‘Pilot’ by Hot Mulligan is released on 23rd March on No Sleep Records.